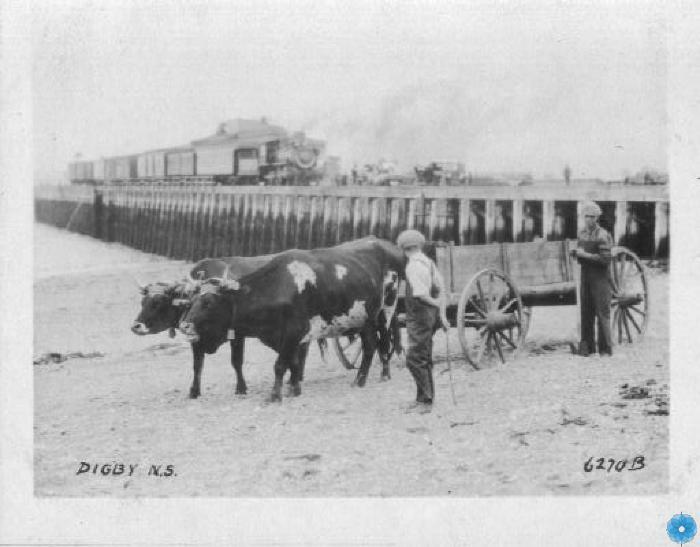 Scope & Content: There is a team of oxen, pulling a cart, on the beach by the ferry/train wharf. A man and boy are walking along with them. They are probably collecting seaweed for the garden. The train is backed down on the wharf.